Quaint cosy cottage in a peaceful spot - fairly small in proportion but very well equipped. Lost one star as the stairs are narrow and very steep so probably not suitable for those with mobility problems or small children but we had no problems. There are lovely country walks nearby over to the Slaughters and the cottage is well situated for all the Cotswold hotspots. The local Golden Ball pub in Lower Swell was very disappointing, with underwhelming food and staff not very welcoming either so would definitely avoid that but there are excellent pubs and eateries in neighbouring villages. Stow is a mile away and Moreton only 10 minutes by car. 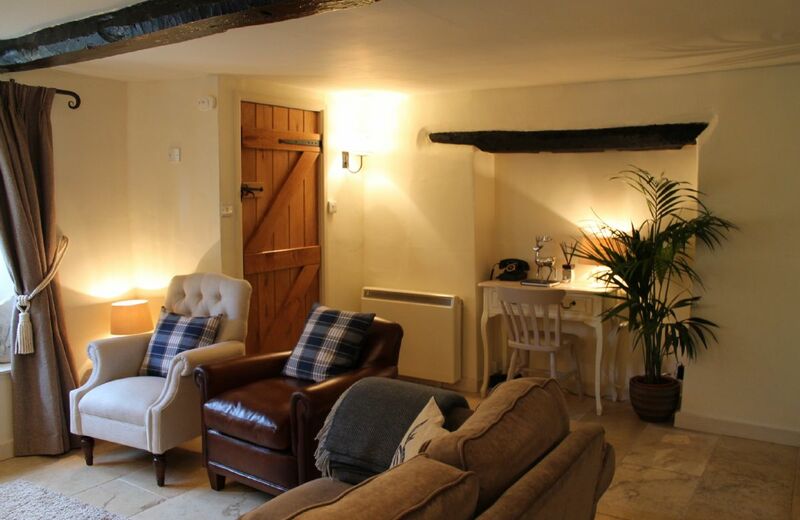 Overall a lovely weekend getaway in a cosy cottage. Ooooops I meant to do 4 stars!! The cottage was spotlessly clean and just what we wanted for our weekend away together. For a 5 star property I would have expected the bathroom to be more special/ luxurious. It was very everyday/ordinary. We loved the log fire and the well equipped kitchen. Had a lovely start in Hillview. The location is perfect for exploring the Cotswolds and there is a pub in walking distance. The cottage is very cosy and the welcome basket was much appreciated. Thank you. It was a joy to arrive at the cottage - 5pm, very dark, and there were welcoming lights, snug warmth, a fabulous welcome hamper, and a beautifully prepared cottage - bliss! 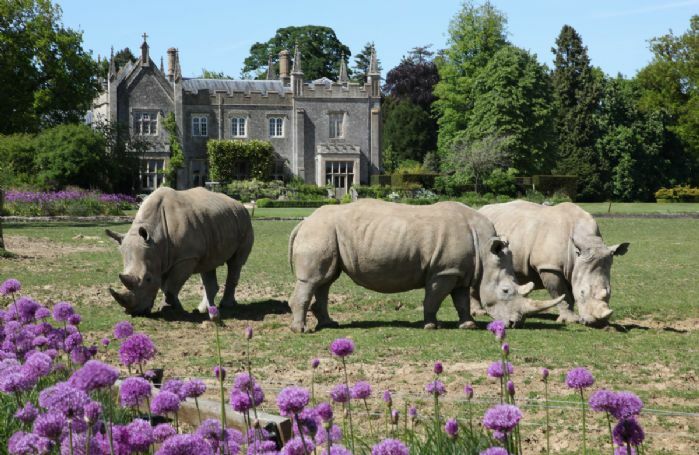 We had a lovely relaxing stay, whilst walking in Cotswold country, including straight from the door to the Slaughters! Thank you again, Rural Retreats for a treat of a break! What a fantastic review for Hillview. Thank you very much, we are delighted that you had a lovely stay. Lovely cottage and everything clean. Only thing missing was fresh coffee for the cafetière as only instant provided. Many apologies about the coffee - it should have been in the welcome hamper. 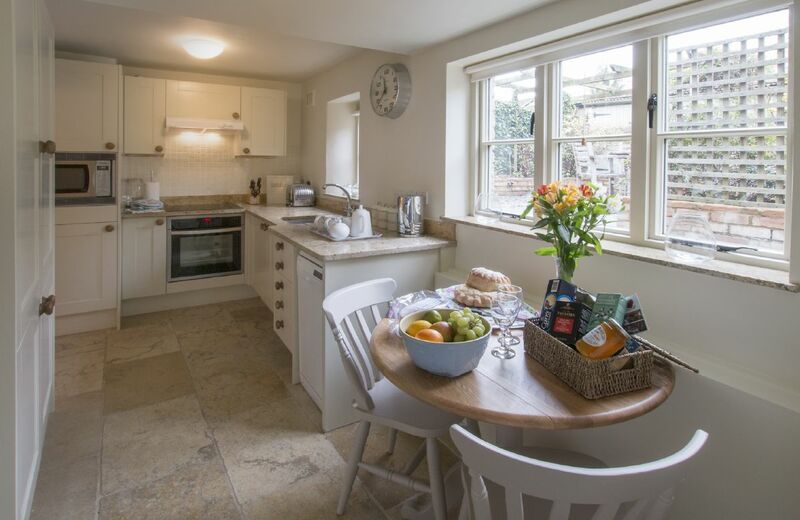 Lovely cottage - well modernised and clean. Village situation is good and within walking distance to the local pub. A good base for exploring this beautiful area. Bees in the tree outside the backdoor need attention!!!! Thank you for your kind words about Hillview. There are some bees in the lovely flowering plants outside the back door but as they are so vital to a healthy environment and healthy economy we would really hate to make the area a bee free zone. Beautiful Cottage, just a problem with heating in the bathroom/ towel rail. Couldn't be fixed until the day we left. Very clean ,good position for exploring the Cotswolds! Thank you for leaving your feedback. We are delighted that you thought Hillview was beautiful and our apologies that the towel rail couldn't be mended immediately. Hillview was the perfect festive getaway - cosy, romantic and surrounded by beautiful walks, we absolutely loved it. Hillview cottage was just perfect and we had a wonderful stay. Sarah at Rural retreats was wonderful and so very helpful. We wished we could have stayed for longer. The Welcome hamper was amazing and such a lovely gesture. We would definitely stay again. We are so pleased that you had a wonderful stay at lovely Hillview. Thank you so much for your kind comments about the property and our service. 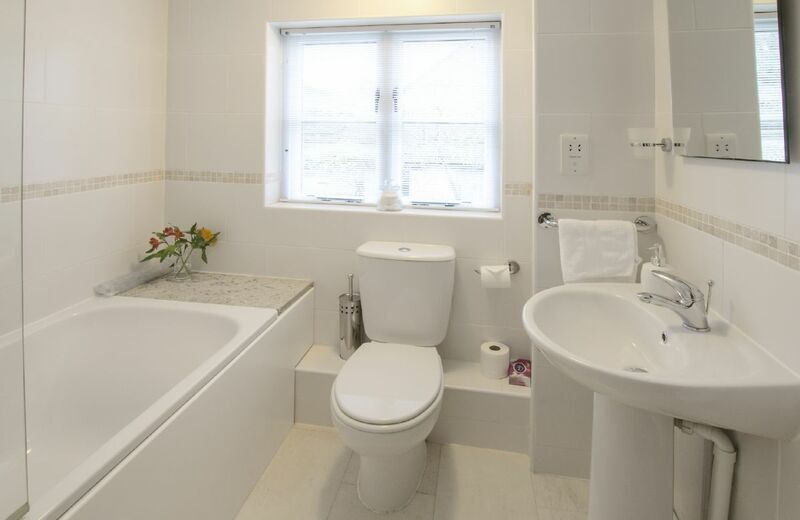 Attractive property, spotlessly clean and comfortable, and the welcome hamper was a special extra, much appreciated. Could have done with a little more heat on a cold night (we didn't fiddle with the night store heaters) but the log burner gave us sufficient. Hillview was a clean and pleasant cottage. The village Pub was friendly. We found some of the fruit provided in the hamper not as fresh as we would have liked. On street parking was not ideal, partly due to road works, but there was not much room anyway. We stayed here for a mini moon. It was ideally located to get around the attractions in the Cotswolds. It is furnished tastefully and has a lovely wood burner for the cold nights (not that we had any). The bed was comfy and the kitchen was well equipped. 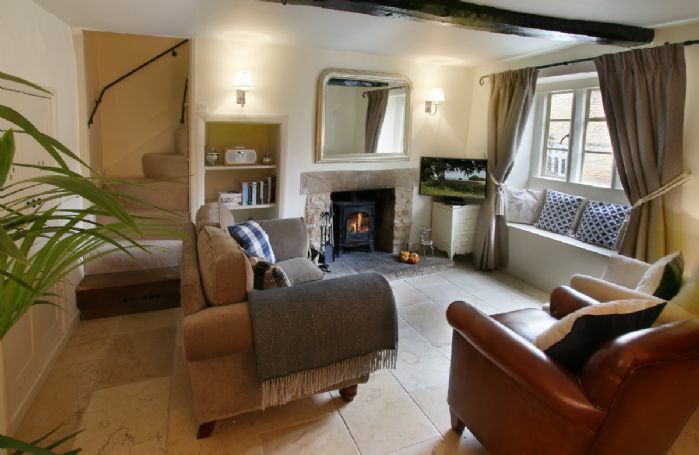 Very well presented cottage in quaint Cotswolds village. The cottage was very well equipped and so clean. We had an excellent stay and will definitely return. Thank you for your lovely review of Hillview. We are delighted that you enjoyed your stay. Lovely clean cottage. Pretty village with lovely walks straight from the door. We loved Hillview. 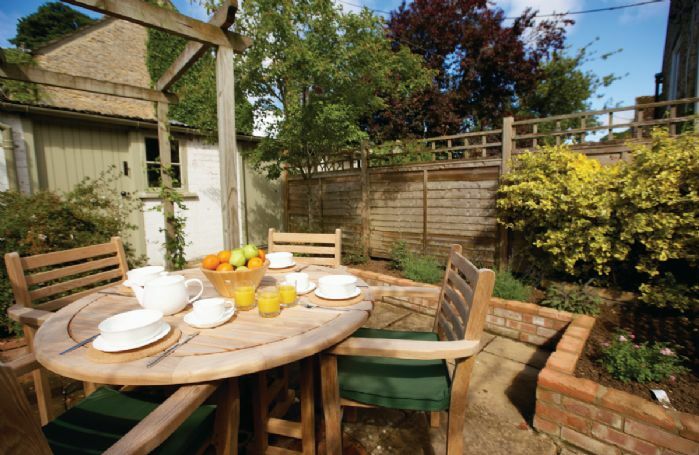 It was beautifully furnished, spotlessly clean, comfortable, well equipped and in a great location for all the attractions of The Cotswolds. We particularly liked the generous sized bedroom and comfortable bed and the nicely sized and equipped bathroom. It was lovely thaf we had proper and reliable WiFi too -a real bonus. The local pub was friendly and had very good food only a few hundred yards away. The courtyard garden would be perfect in the summer. All in all a great cottage thoughtfully refurbished! My favourite home from home! Our 2nd visit to the property and will be back again soon! 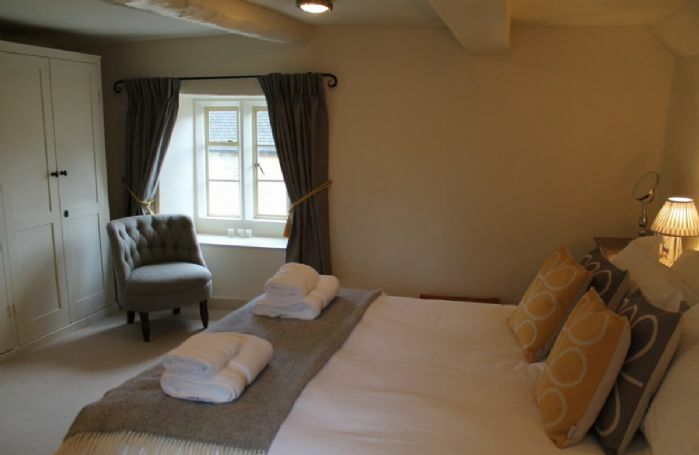 Excellent hamper, property very cosy and a great place to relax whatever the weather. Hillview is a Grade II listed Cotswold stone cottage c.1690 situated in the pretty village of Lower Swell. 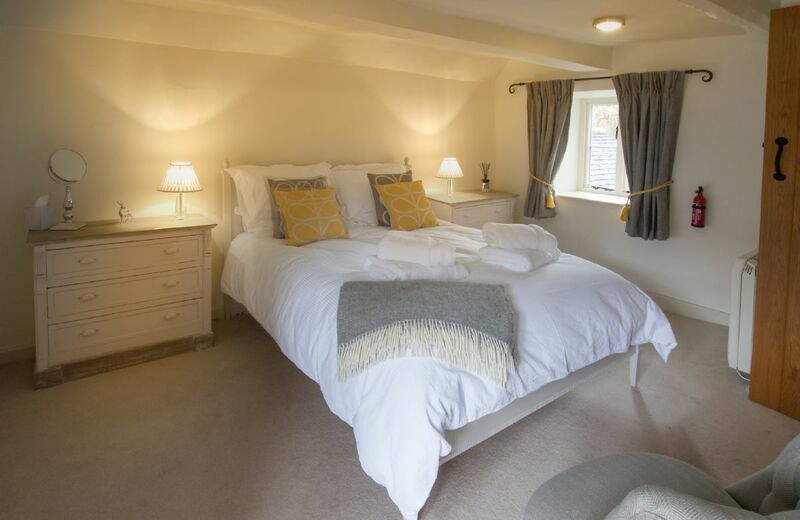 The property, now under new ownership, has been carefully renovated and refurbished whilst retaining all of its period charm. The property is within walking distance of the traditional village pub, 'The Golden Ball' (winner of the 'Best Neighbourhood Pub of the Year' 2012). 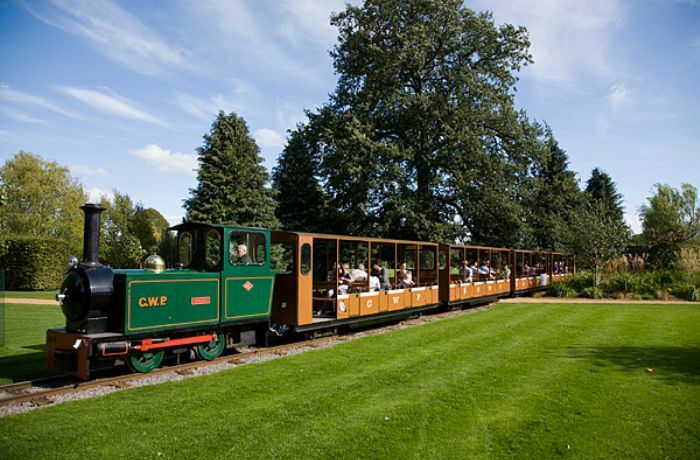 Hillview is well placed for visiting the local villages and market towns of the Cotswolds. The market town of Stow-on-the-Wold, with its wealth of pubs, restaurants, antique shops, supermarket and independent retailers, is only a mile away. 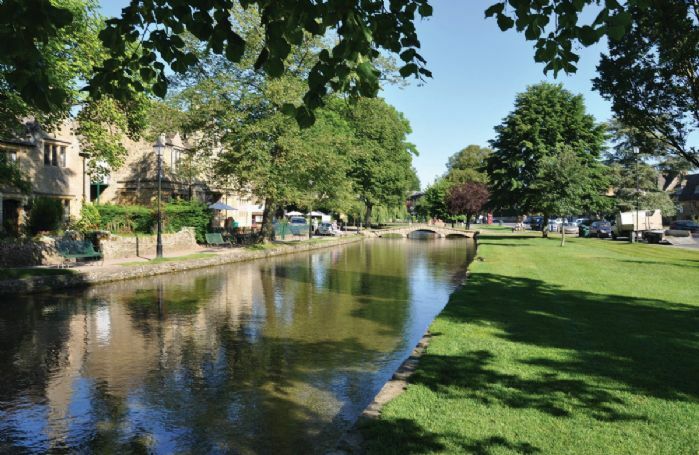 The renowned villages of Bourton-on-the-Water, The Slaughters, Cirencester and Burford are within easy reach, as are towns such as Cheltenham, Stratford-upon-Avon, Oxford and Bath. Sezincote's magnificent house and romantic water gardens are three miles away and Batsford Arboretum (Britain's most visited arboretum), just four miles and is a spectacular sight, particularly in the autumn. One bedroom with family bathroom. 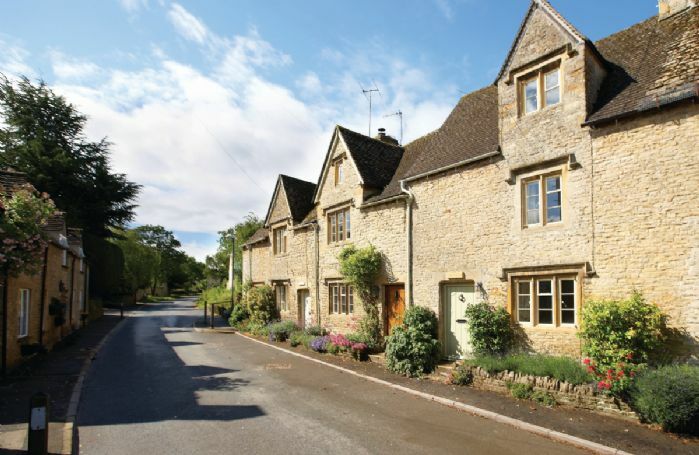 Grade II listed Cotswold stone cottage with wood burning stove. Steep steps to enclosed rear garden with garden furniture. Guests with mobility difficulties please beware of steep, narrow stairs. The neighbouring property does have right of access through the rear garden. Sorry, no pets, babies or children. Electric hob and oven, microwave. DAB Radio with Bluetooth availability for smartphone/iPhone, DVD player. 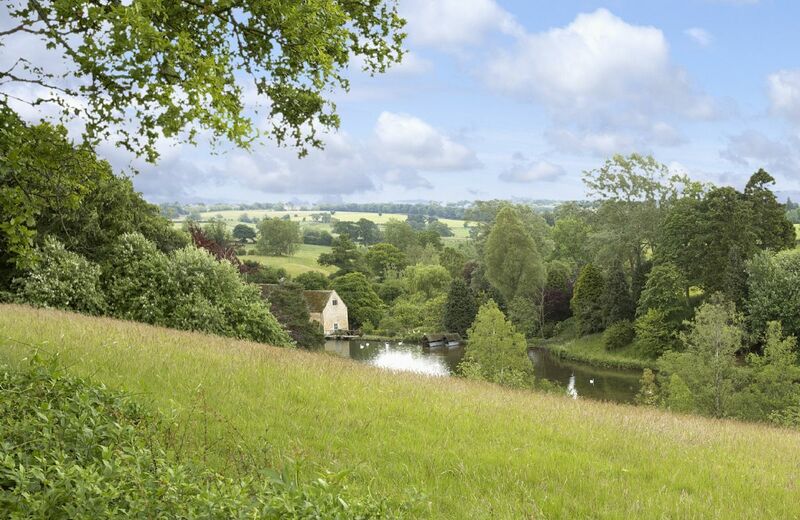 The BBC's Countryfile 'Adams Farm' is less than three miles away and is a great, affordable, day out. Visit Batsford Arboretum, four miles away, which is a wonderful sight particularly during the autumn. Bourton-on-the-Water, a 15-minute drive is home to many attractions such as Birdland, The Cotswold Motor Museum, Dragonfly Maze, Cotswold Pottery, Cotswold Perfumery and the Model Village. 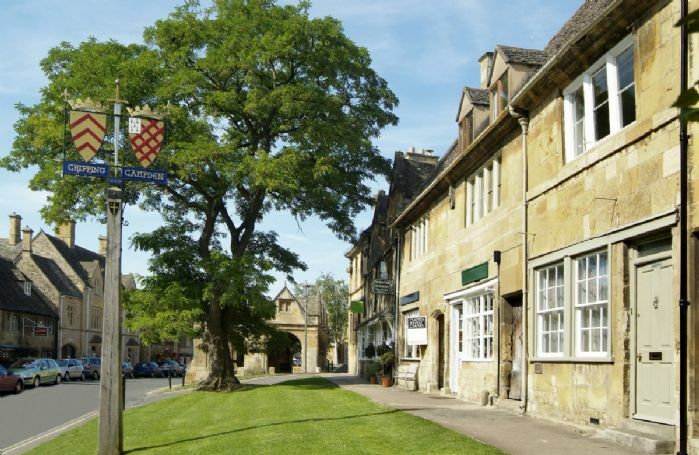 Stow-on-the-Wold: Stow on the wold is a small market town located on the Roman Fosseway with beautiful honey-coloured buildings, cosy pubs, tiny tearooms and narrow streets. For details of walks in the the surrounding areas, please visit www.walkingbritain.co.uk. 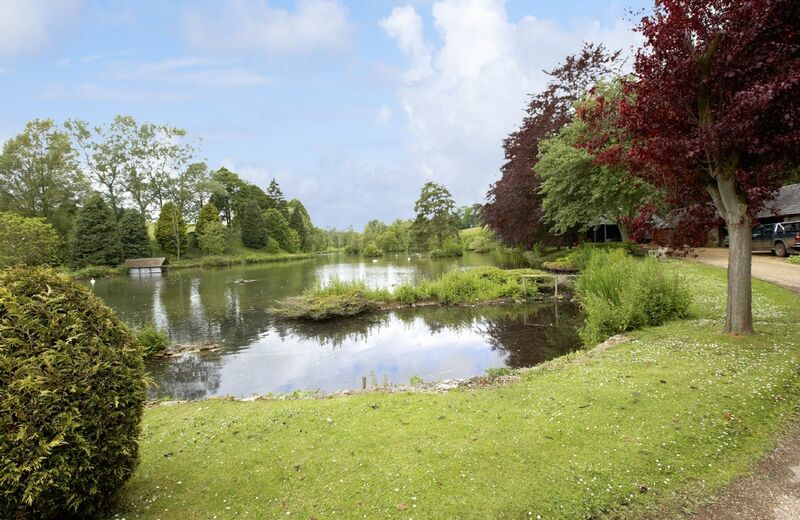 For additional inspiration on what to do within the area, please click here and see our 'Things to do' page.